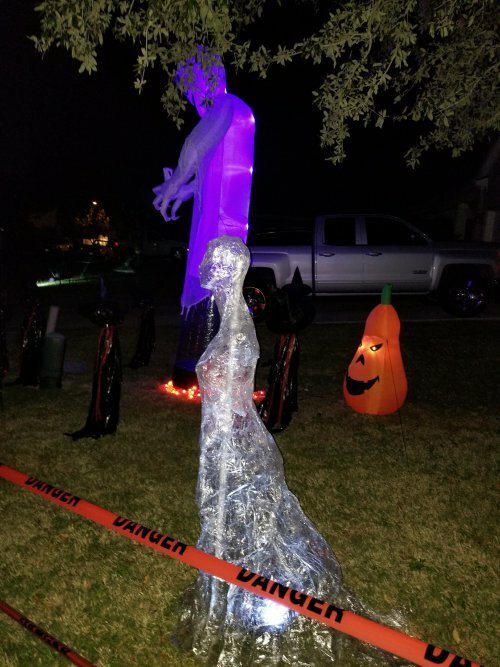 If you’re looking for creative DIY Halloween decorations that will really scare your neighbors, check out these awesome Packing Tape Ghost Ideas! There are many ways to make these packing tape ghosts. You can make a girl or boy ghost, hands, or legs. Add an LED light to illuminate your packing tape ghost in the front yard or hang a couple of these scary DIY Halloween decorations from the trees outside of your home. These DIY Halloween Decorations will amaze and frighten your guests. If you’re looking for awesome Halloween decorating ideas, you’ve come to the right place. If the plan is to design a haunted house or outdoor cemetery in the front yard, this packing tape ghost will be the highlight of your DIY Halloween decorations. Friends, neighbors and trick-or-treaters will be blown away by your creativity. 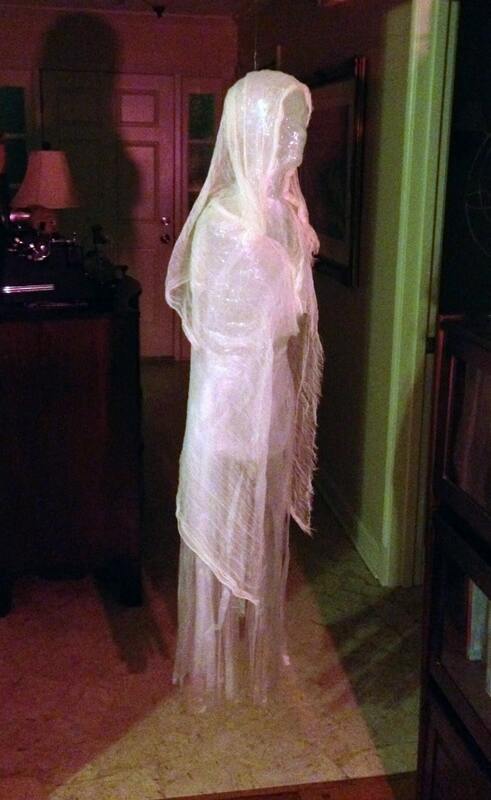 This packing tape ghost woman is a scary Halloween decoration for sure! Are you looking to make a scary Halloween decoration that will be the highlight of the neighborhood? Learn how to make this packing tape ghost with tape and trash bags. This Halloween decoration will scare anyone who walks in the door or sees it in your front yard! There’s nothing cooler than these packing tape ghosts for Halloween! They look like real ghosts! If you’re placing these packing tape ghosts in your front yard, make them even more spooky with some lights. Then all of the passerby will see them in the dark. They look extra spooky with light on them. 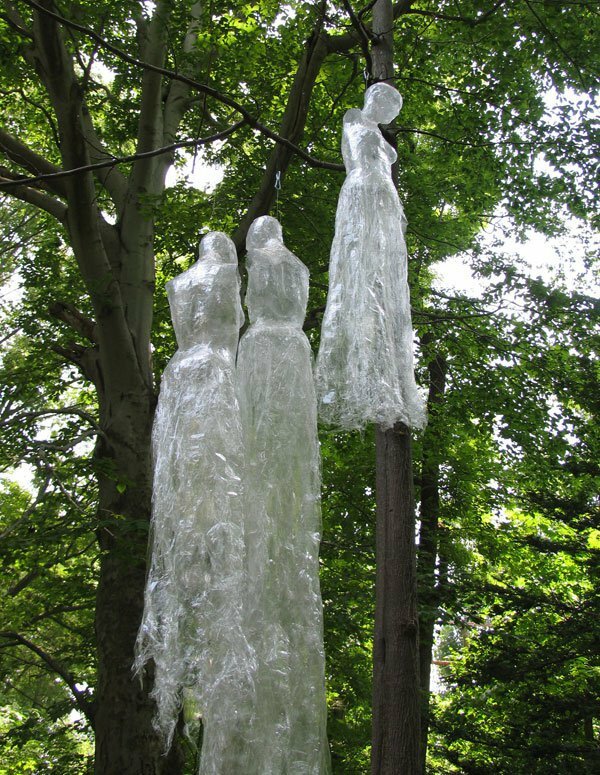 Once you get the hang of making these awesome packing tape ghosts, make a couple of them and hang them from the trees outside of your house! Everyone will be amazed by your DIY Halloween decorations! This packing tape ghost idea is too funny! 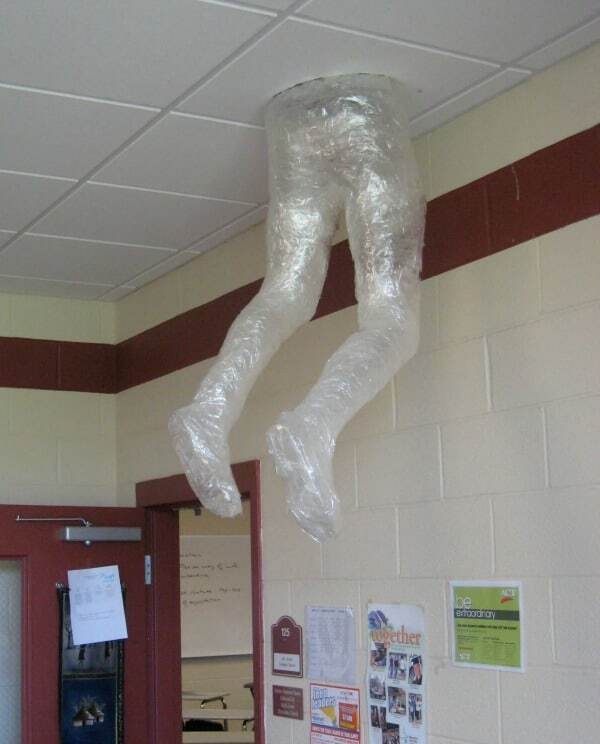 If you think that making an entire ghost is too difficult, just make the legs and hang them from the ceiling like this one. What a great DIY Halloween decoration! If you’re looking to go extra creepy, forget the ghost head and just do the body! There’s endless possibilities with these cool packing tape ghosts. Imagine people’s faces when they walk in your house and see this scary Halloween decoration! 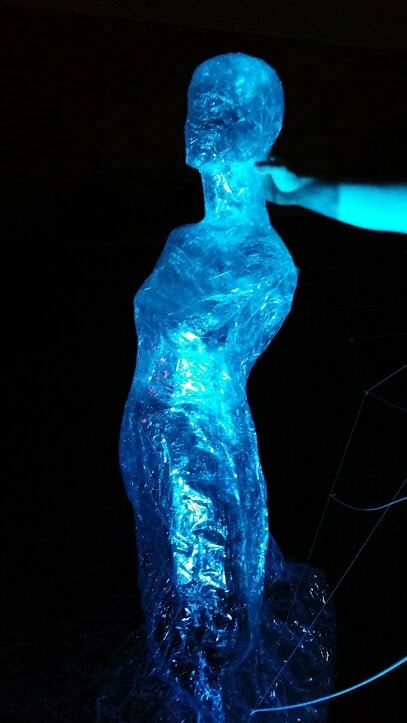 This packing tape ghost girl is awesome! This Halloween DIY will surely impress! 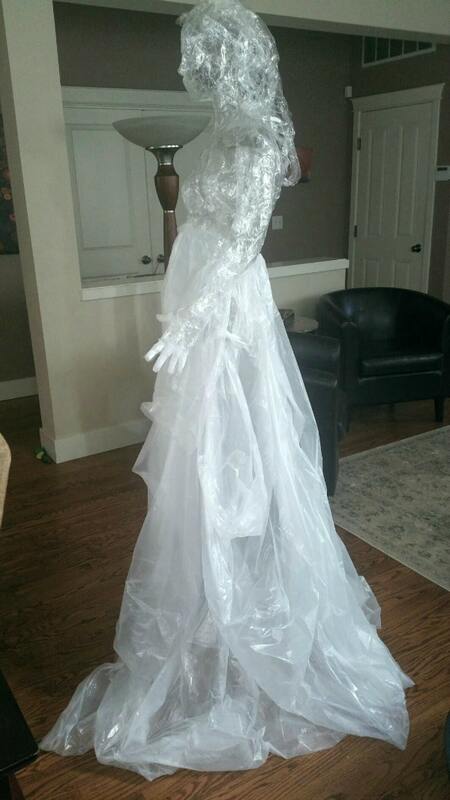 All you need to make this packing tape girl ghost are white plastic bags, packing tape and a mannequin. 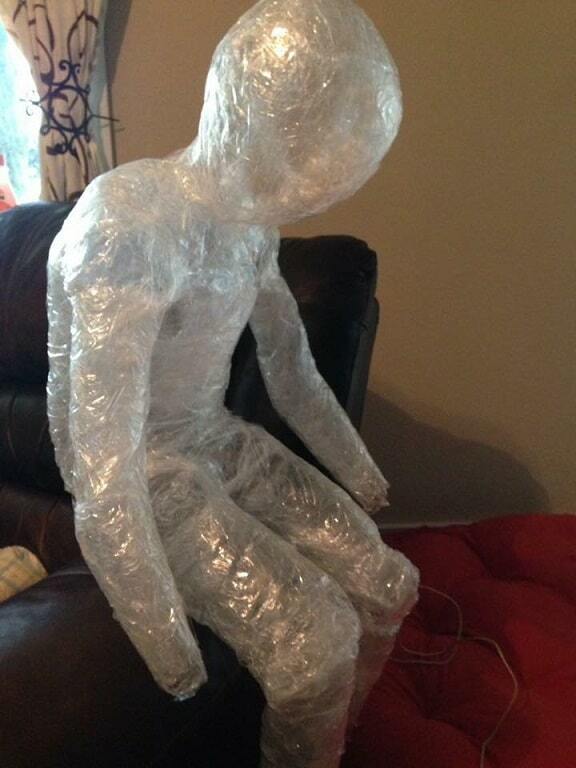 This packing tape ghost child is sitting on the couch – how spooky! 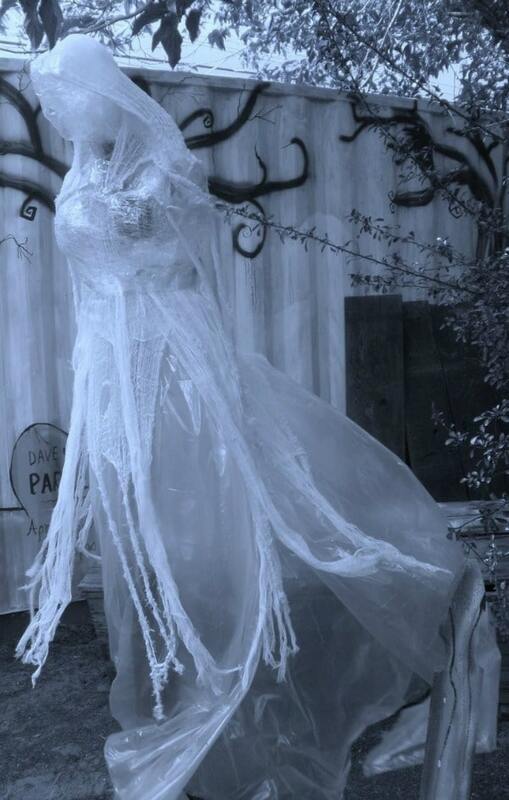 Learn how to make this packing tape ghost idea to add to your Halloween decorations. You can even scare the kids with this one! 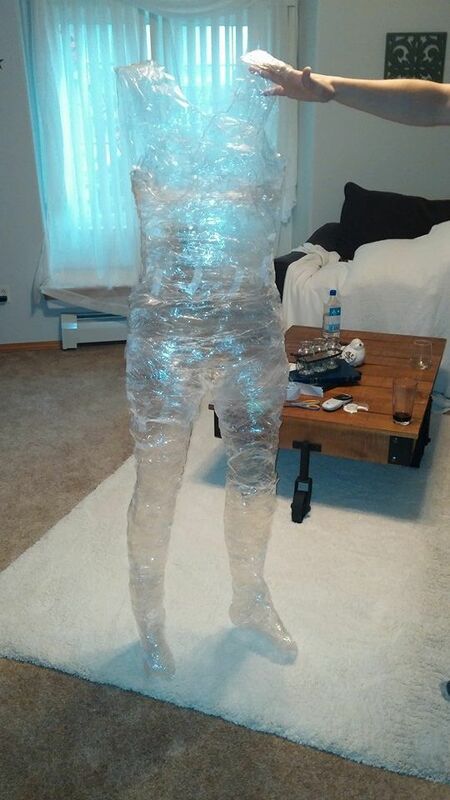 Here’s an easy packing tape ghost tutorial for you to try. If you want to add it to your front yard like the one above, just get a piece of rebar and a piece of PVC pipe for the ghost to rest on. Then all you have to do is stick it in the ground! Get ready for a lot of cars driving by your house to check out your awesome DIY Halloween decorations this holiday! 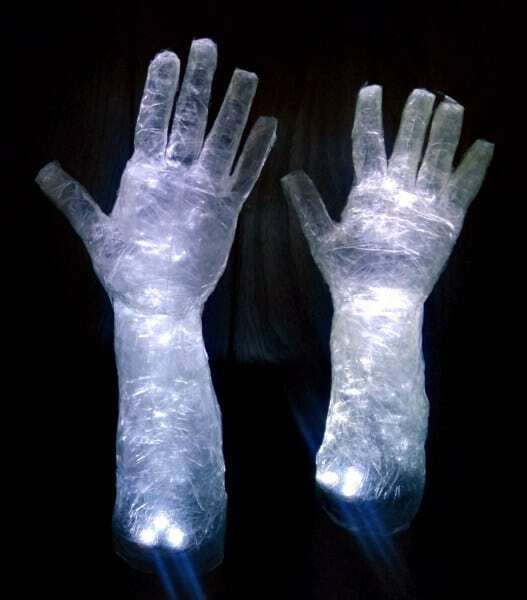 Like we said earlier, if you’re not ready to tackle a whole packing tape ghost just yet, try some spooky hands! You can even get something to anchor these into the ground and they will look like they are coming up from the ground! What an easy DIY Halloween decoration to add to your front yard! Do you have a favorite packing tape ghost idea here? Let us know which one you will be making in the comments below! For more Halloween decorating ideas, follow us on Instagram @prettymyparty and Pinterest and join us in our private Facebook group. Learn how to make packing tape ghosts in the video below. If you click on the link to each one there should be directions. 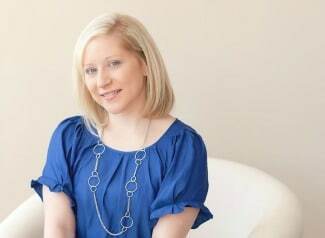 How do you make the heads and whispy dresses?